"A graduate of the Central Academy of Arts and Design in 1969, Mr Wang was engaged for 12 years in textile and package design. 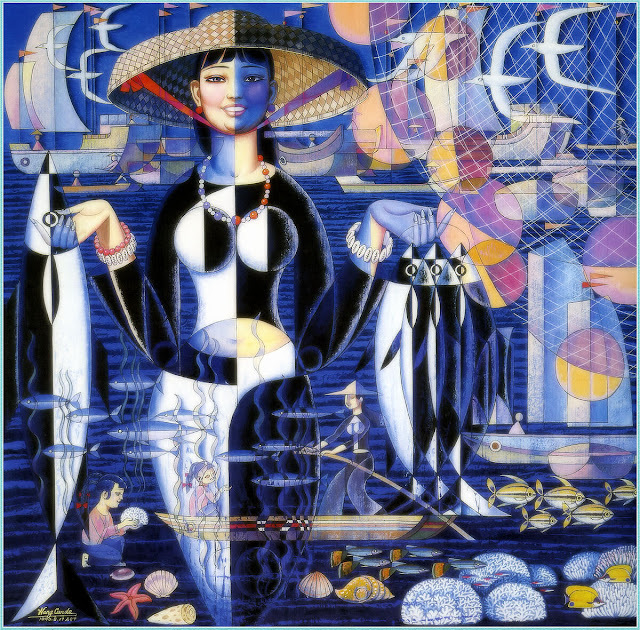 He joined the Beijing Institute of Industrial Design in 1982 as a lecturer and went on to become the Head of Department of Decoration. 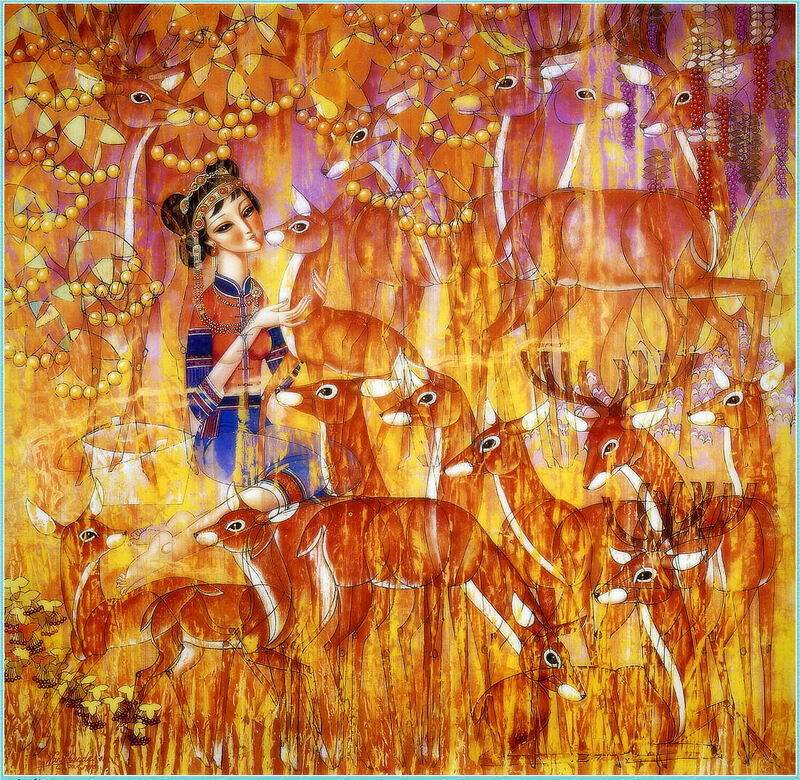 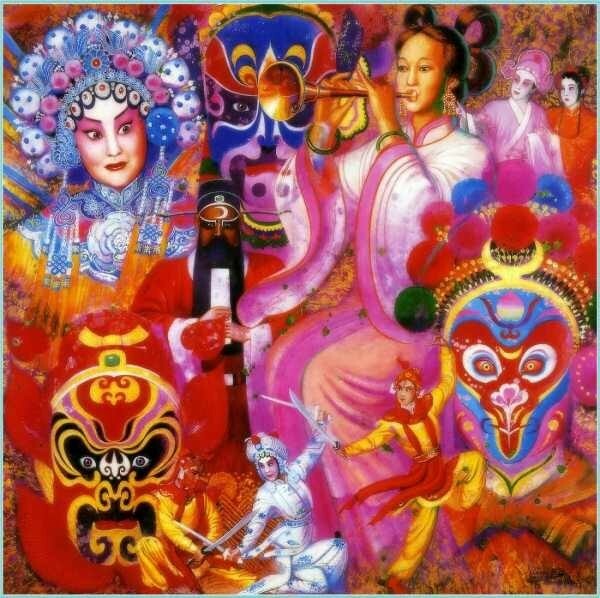 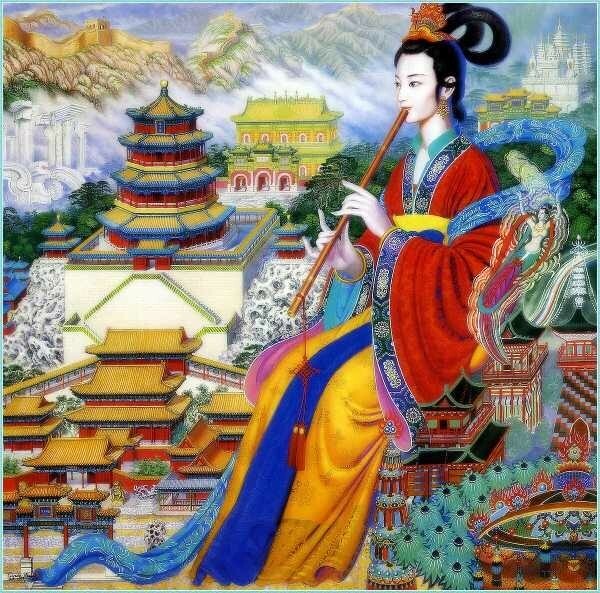 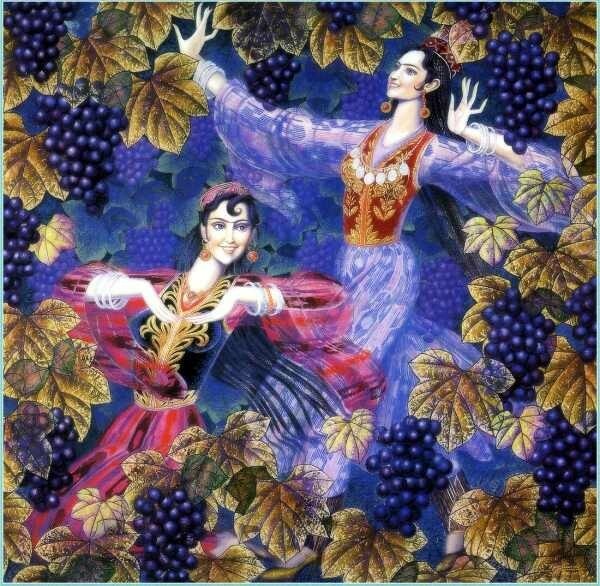 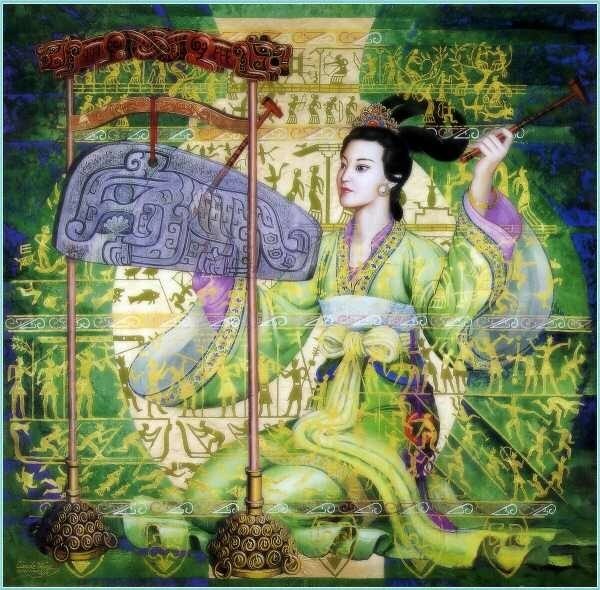 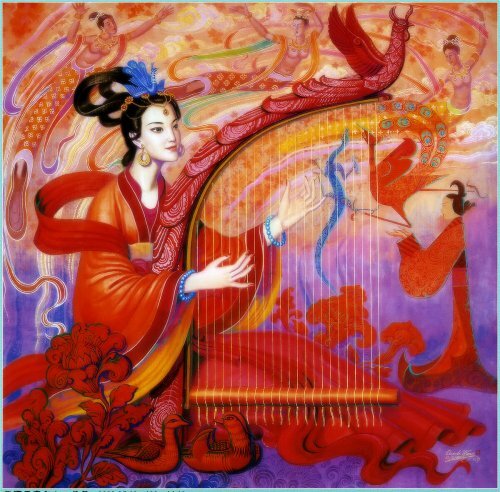 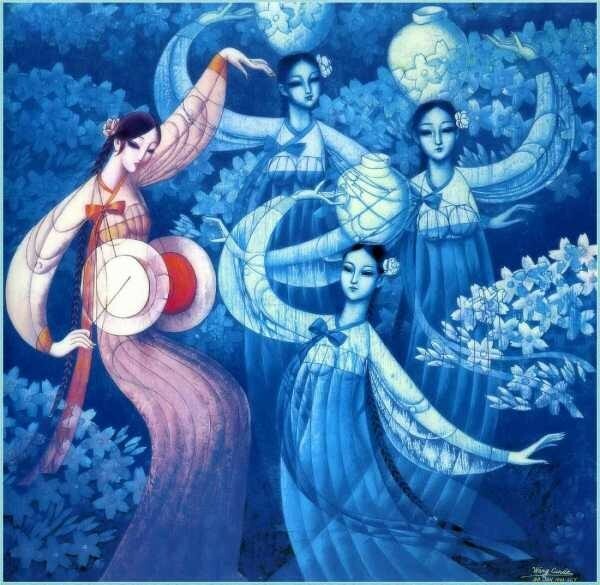 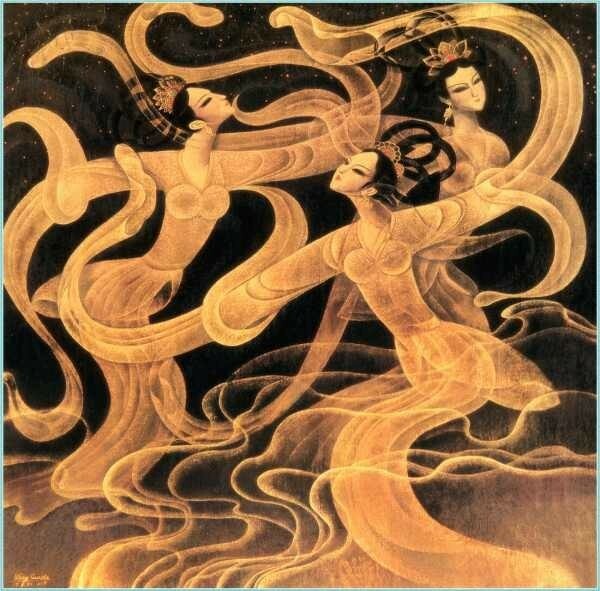 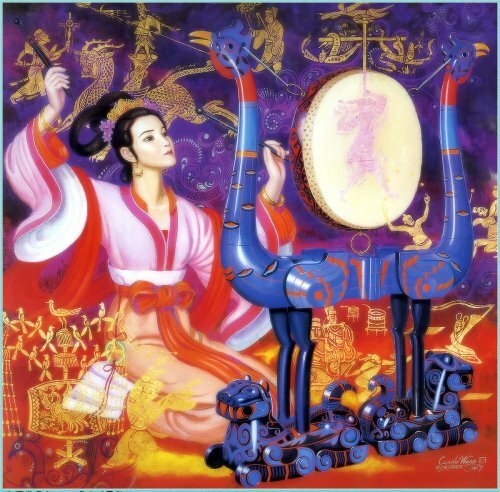 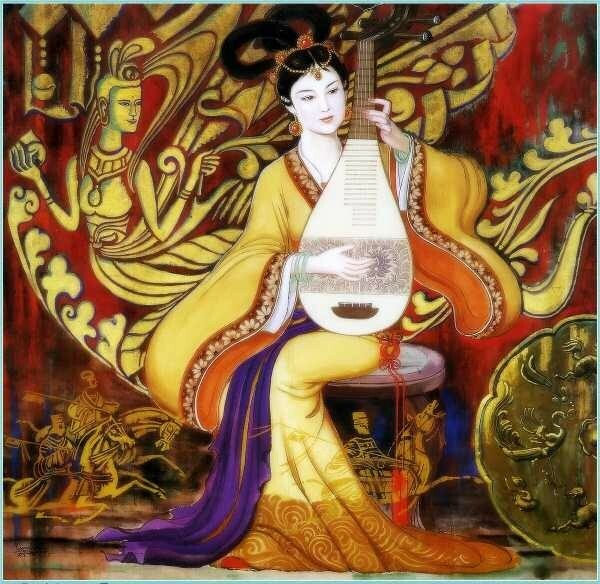 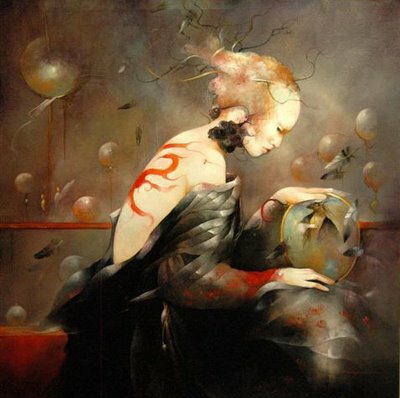 Mr Wang is also a member of Beijing Society of Arts and winner of numerous awards and prizes. 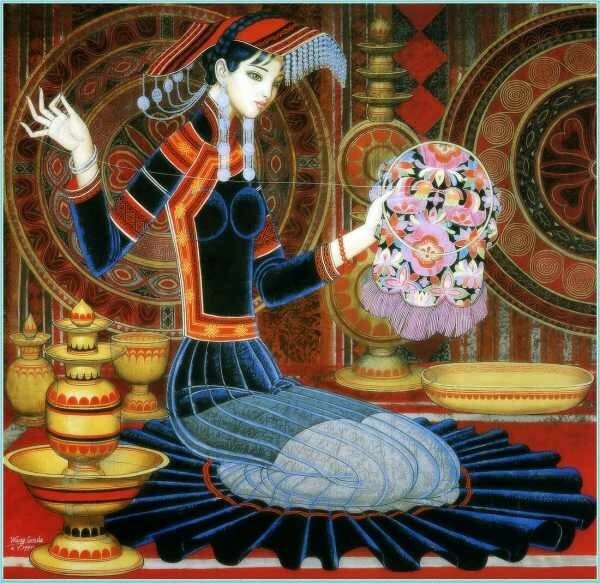 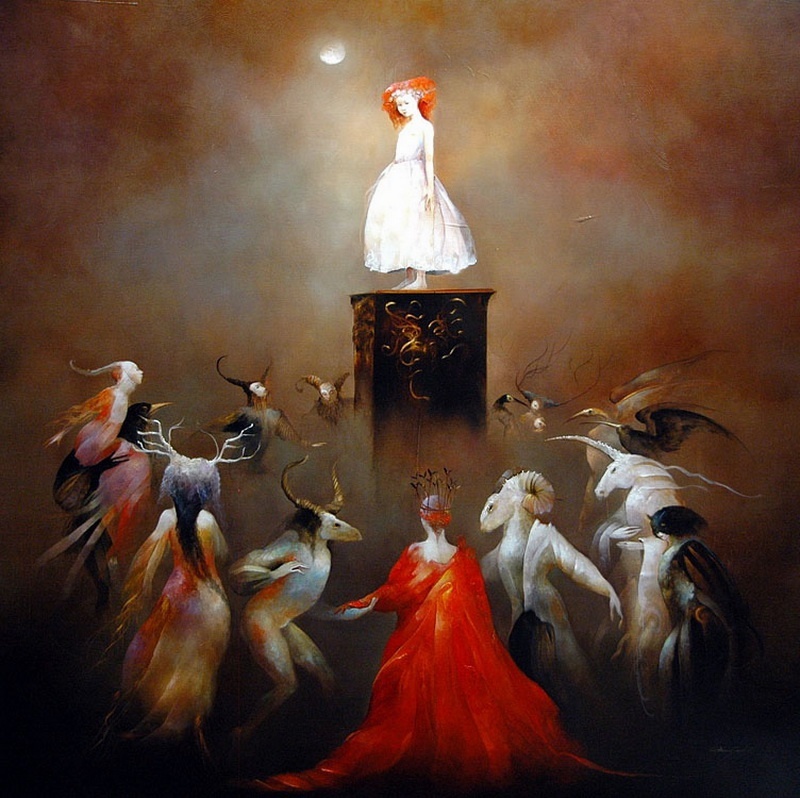 Mr Wang migrated to Australia in 1988 to further advance his career as an artist. 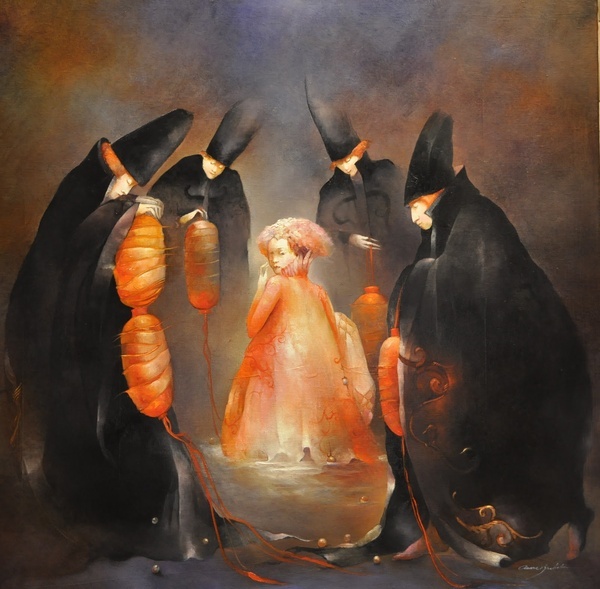 He teaches brush painting at Kingston Art Workshop, the Canberra Museum and Art Gallery. 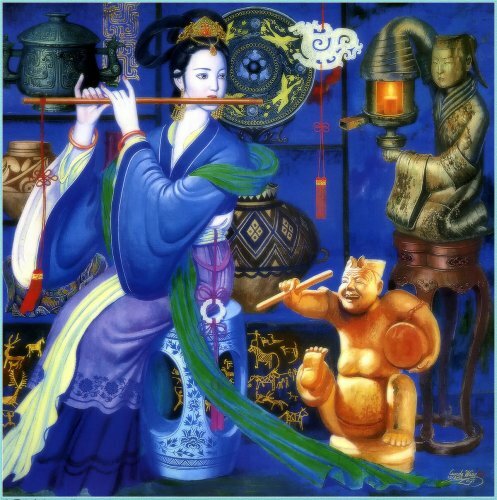 He also teaches pastel portraits at Artisan Art & Craft Gallery." 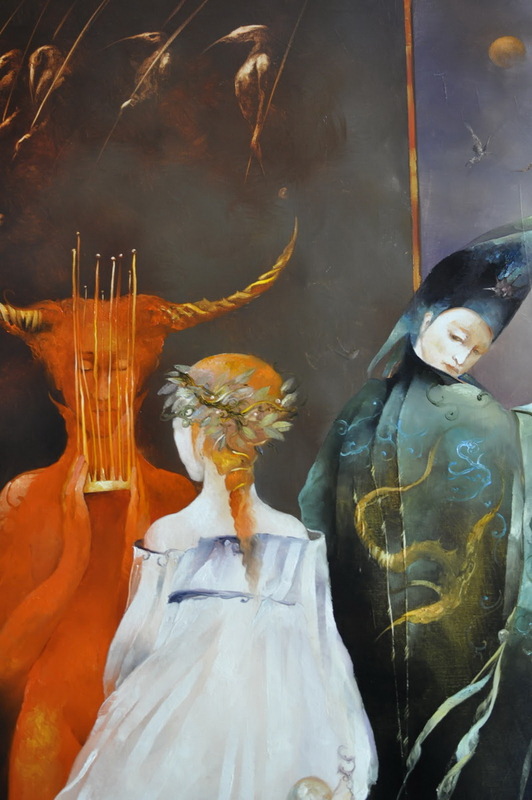 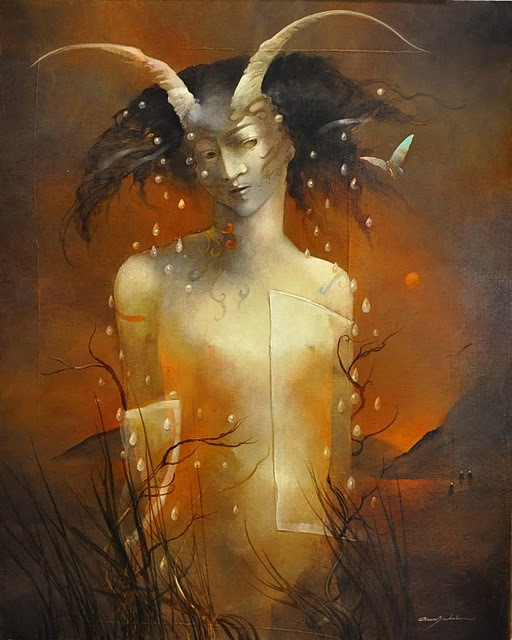 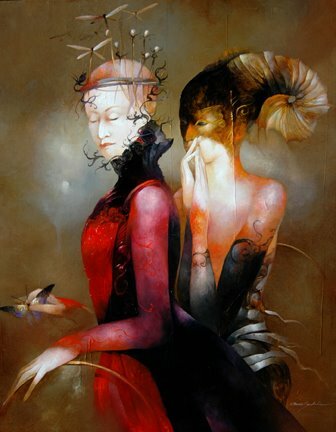 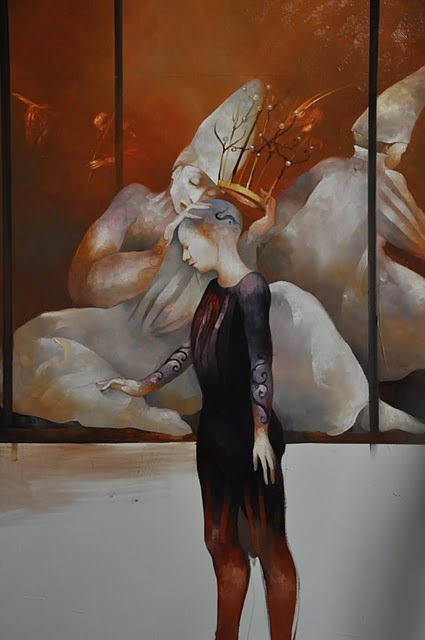 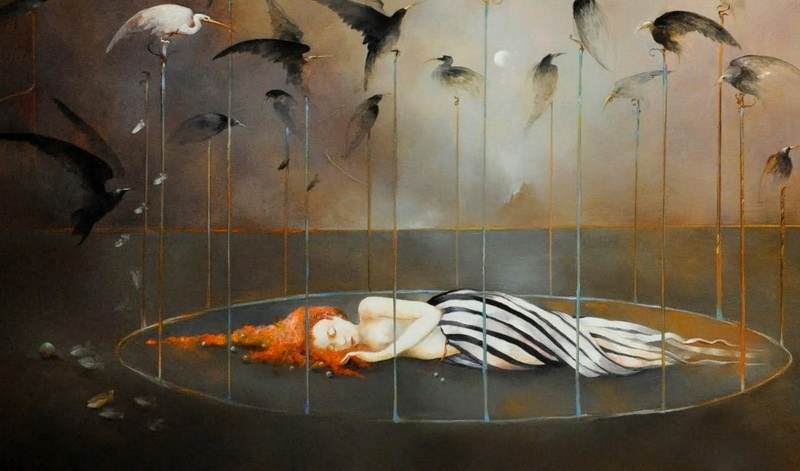 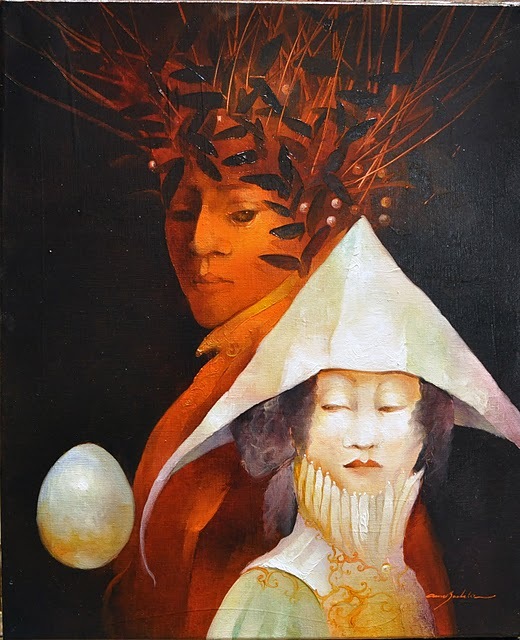 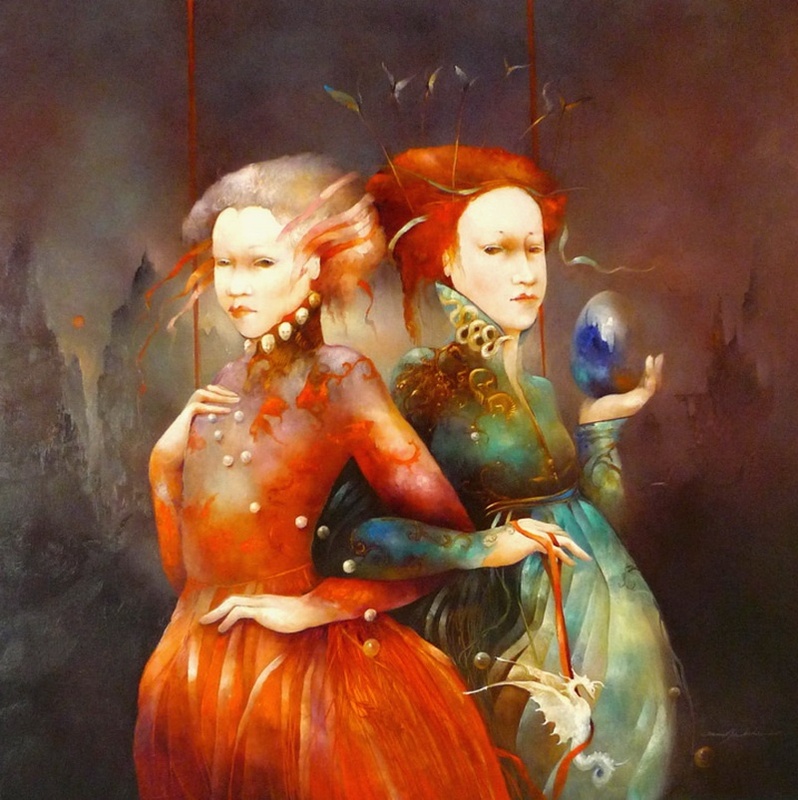 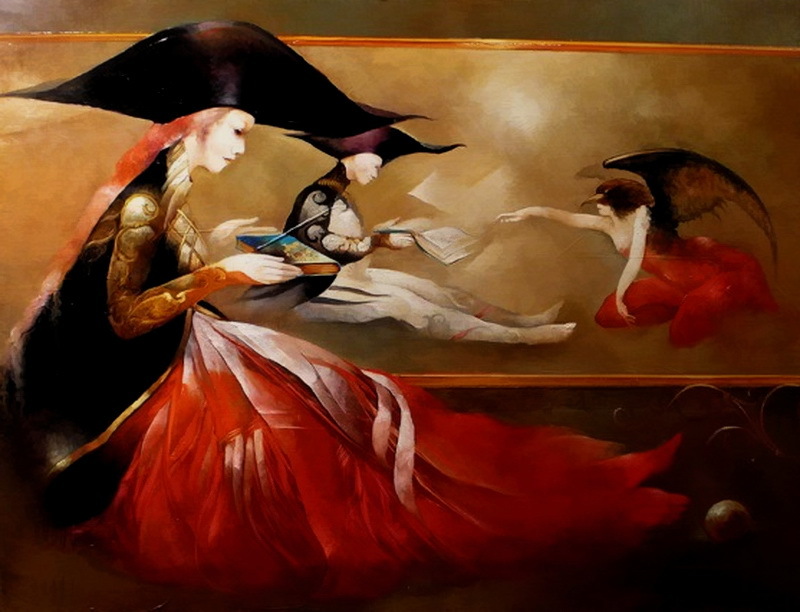 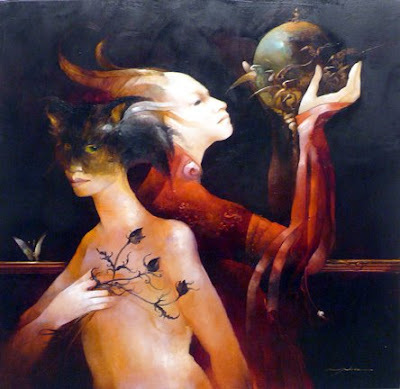 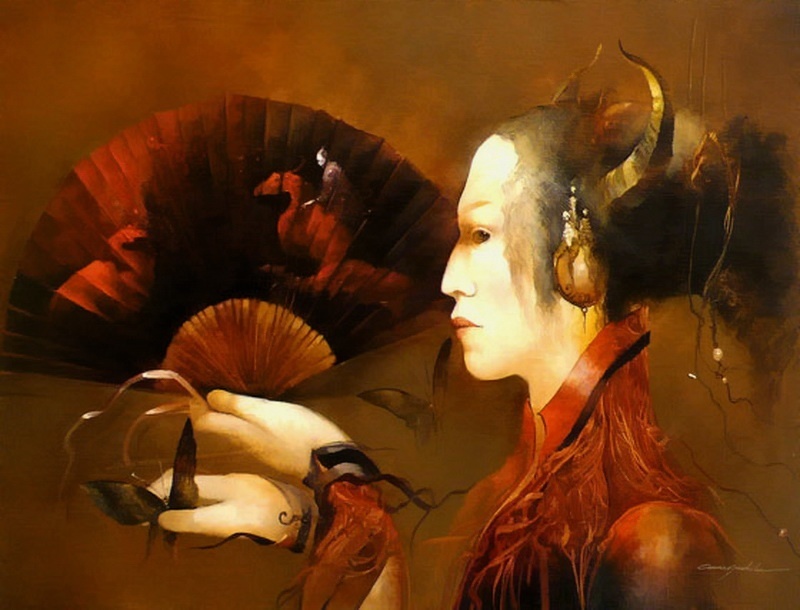 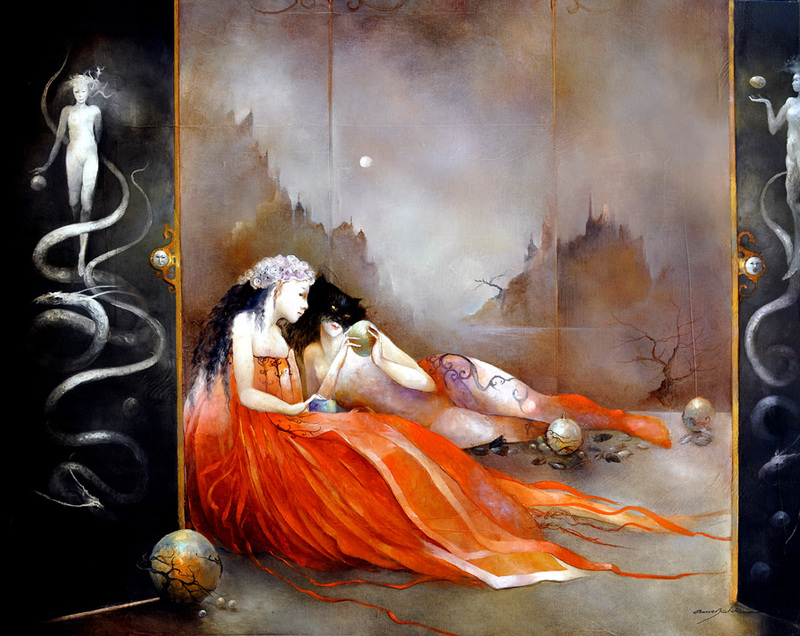 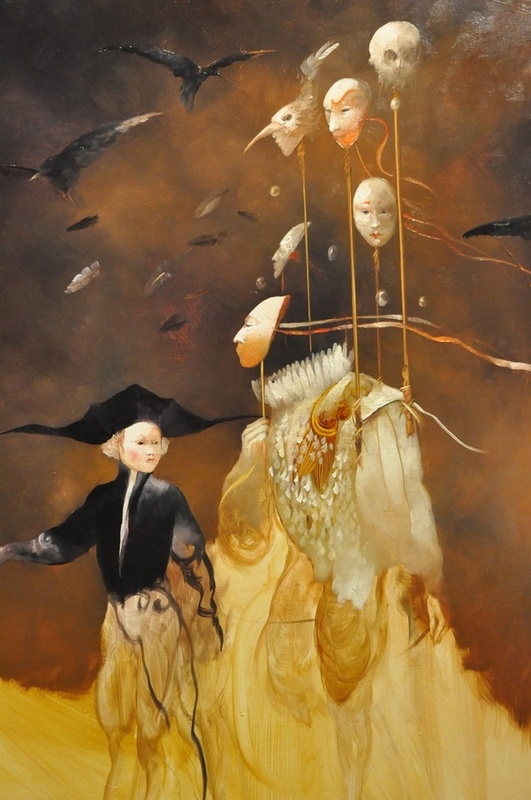 "Metamorphosis, transition, and evolution provide the common threads of the art of Anne Bachelier. 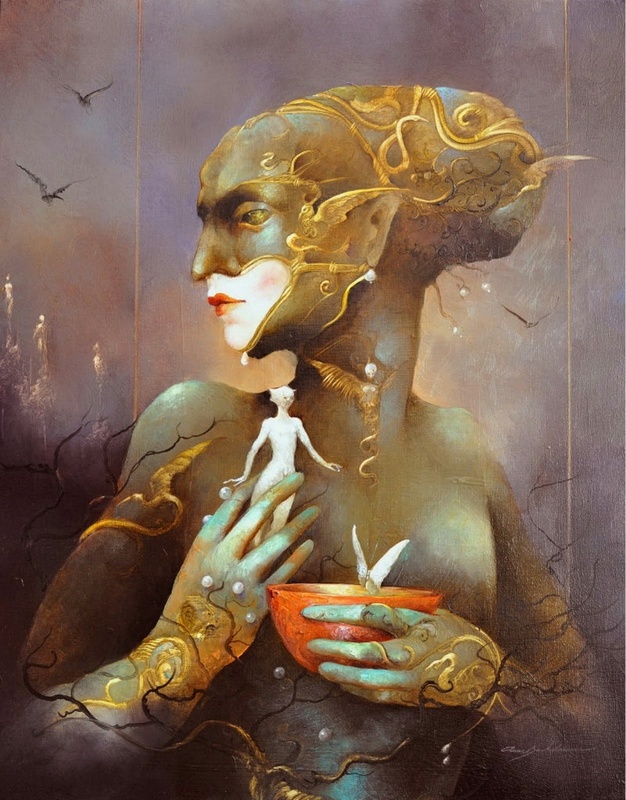 The artist captivates her audience with compelling, highly imaginative images that are distinct, unique, inventive and immediately recognizable. 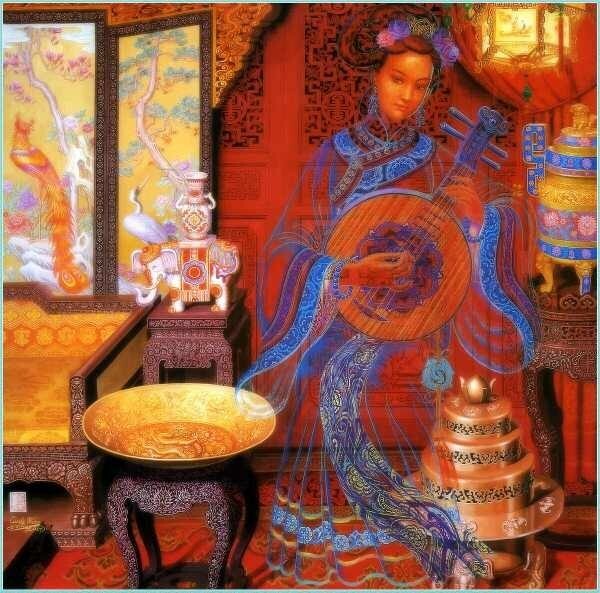 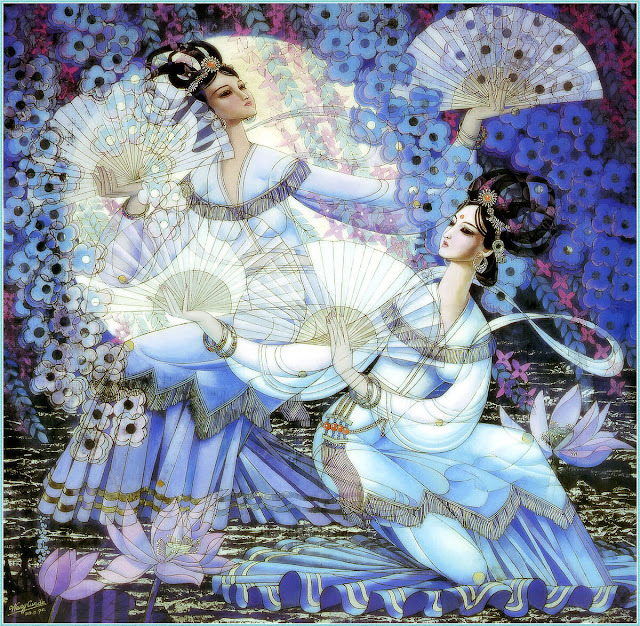 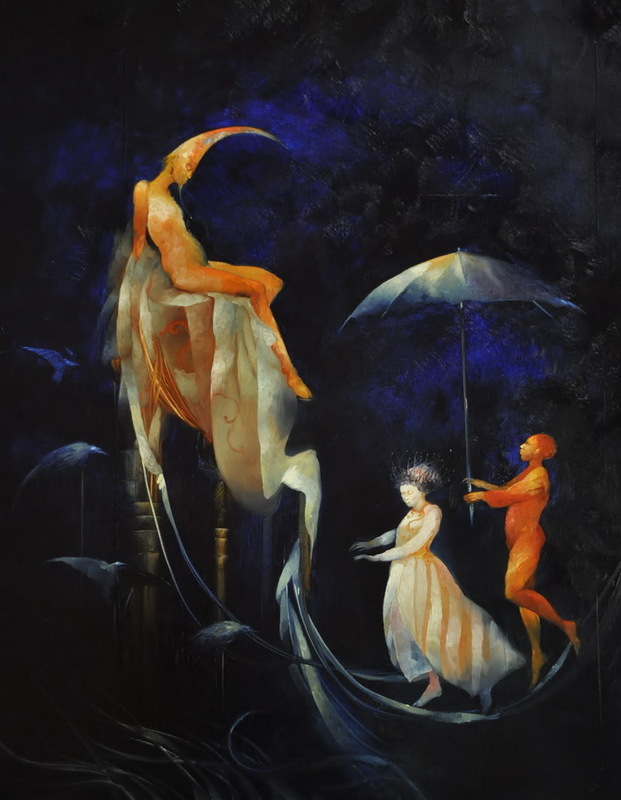 Her metaphysical, dream-like fantasies evoke feelings simultaneously powerful, peaceful, and protective. 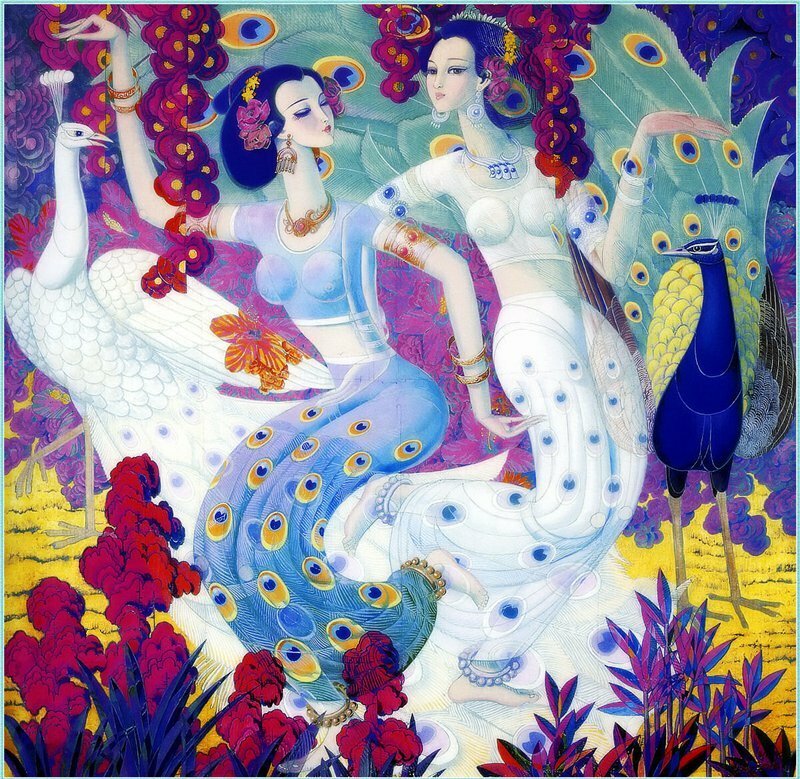 This unique "other" world, untouched by time or place, reminds the viewer of the eternal dance of transformation and regeneration." 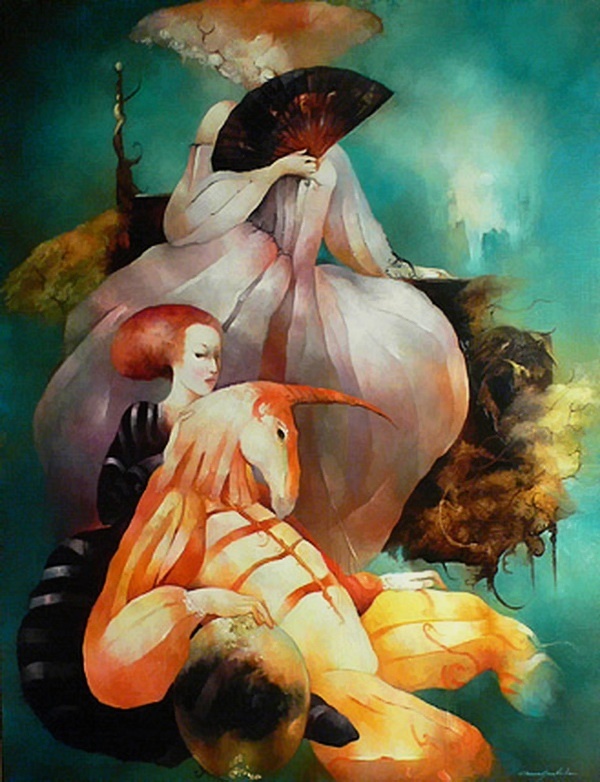 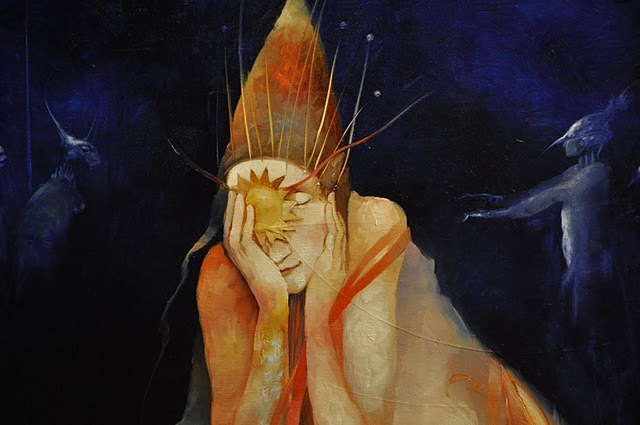 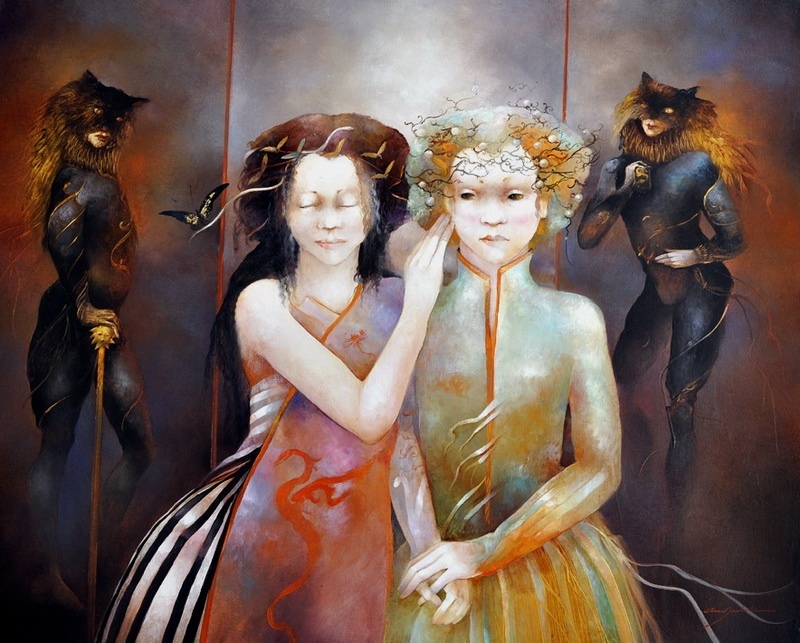 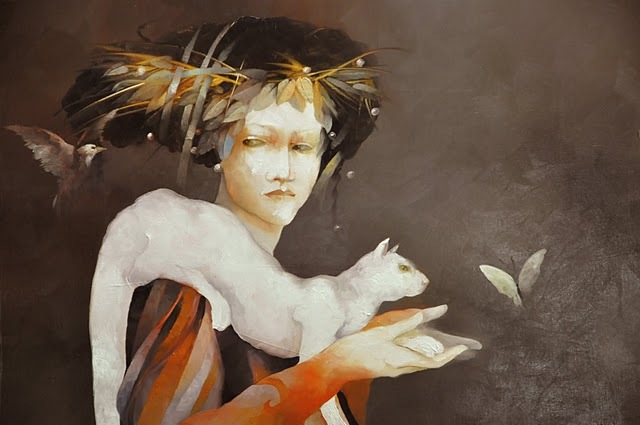 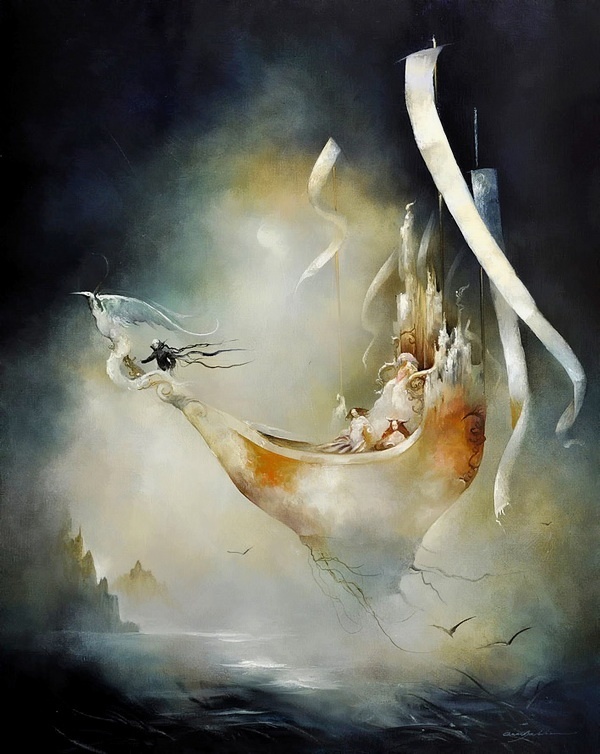 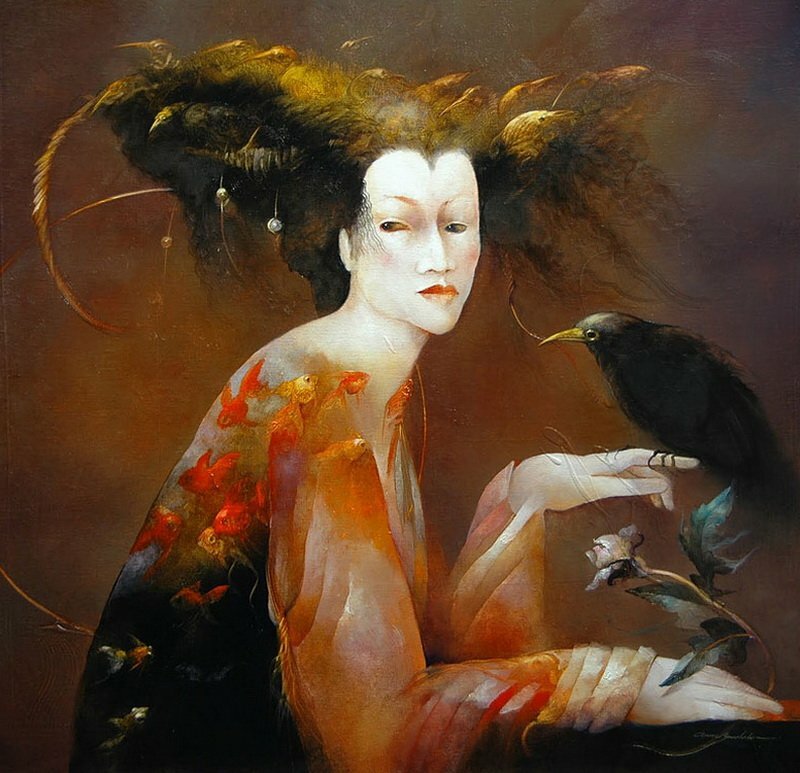 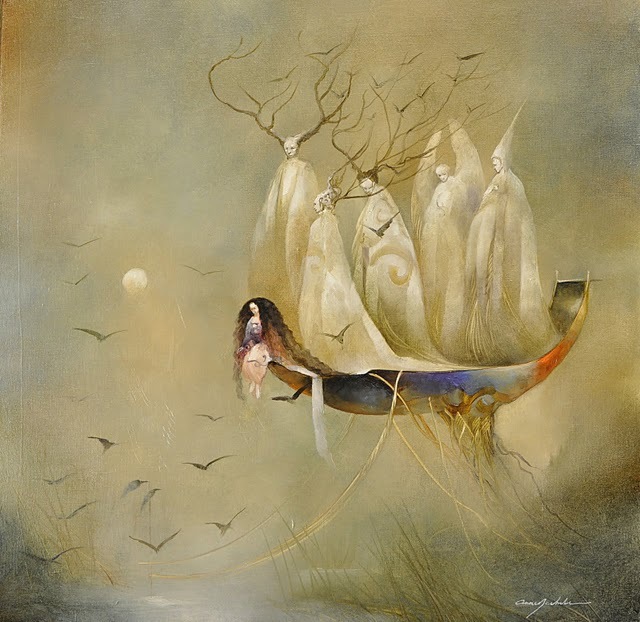 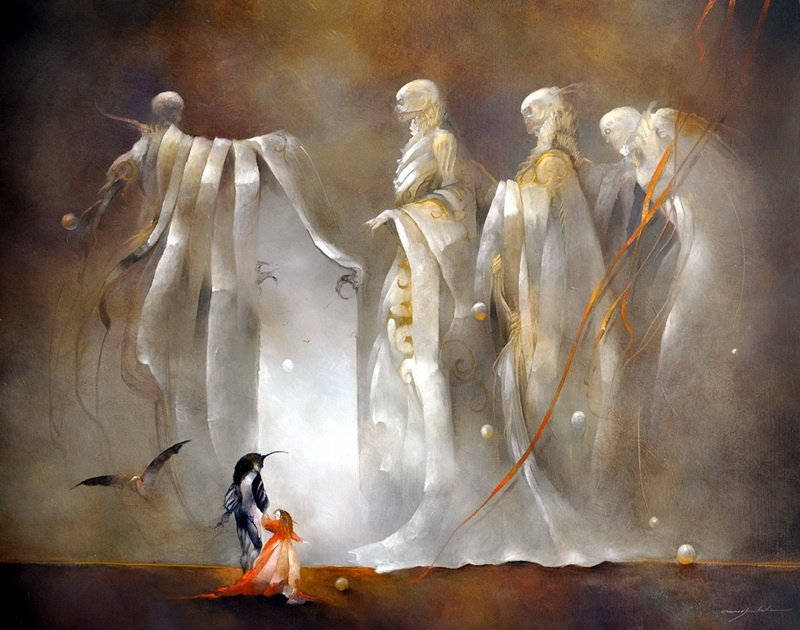 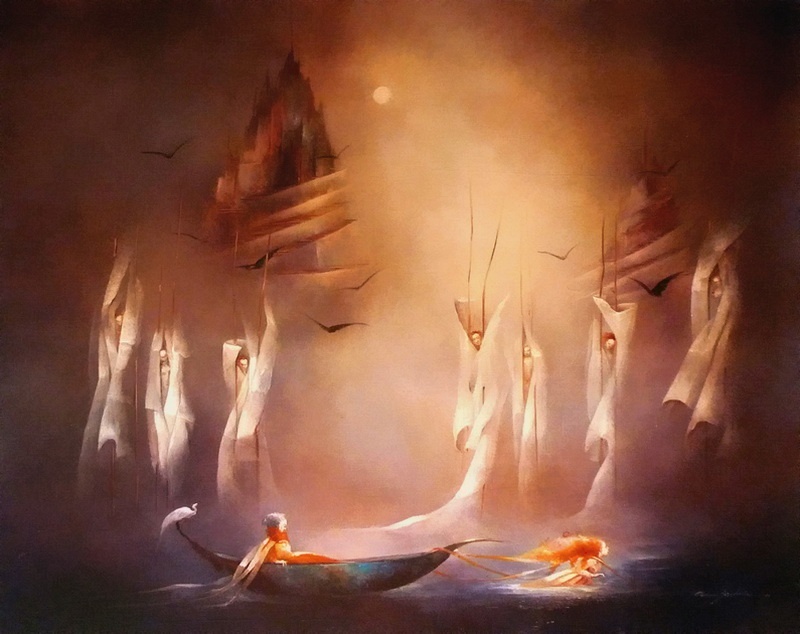 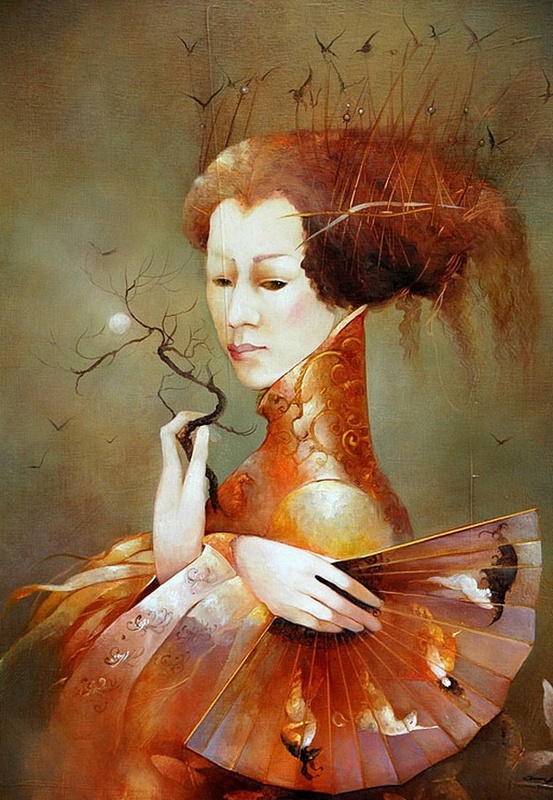 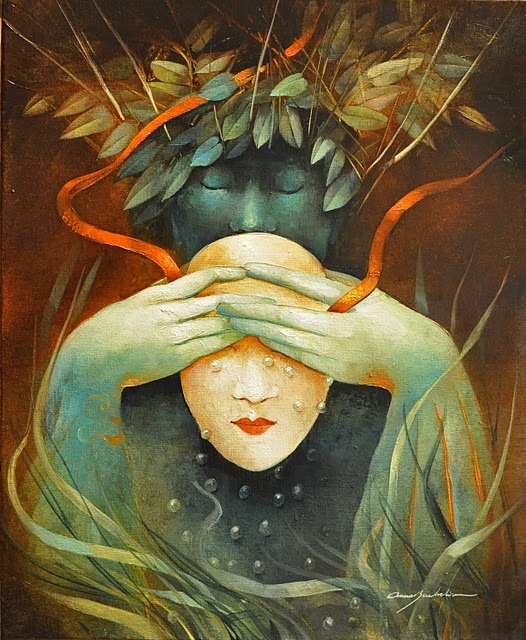 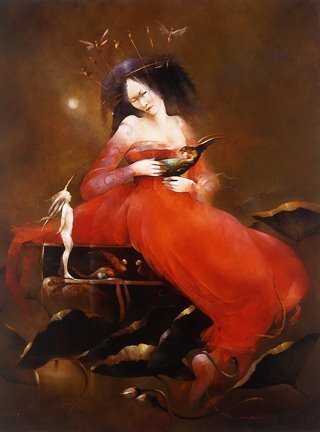 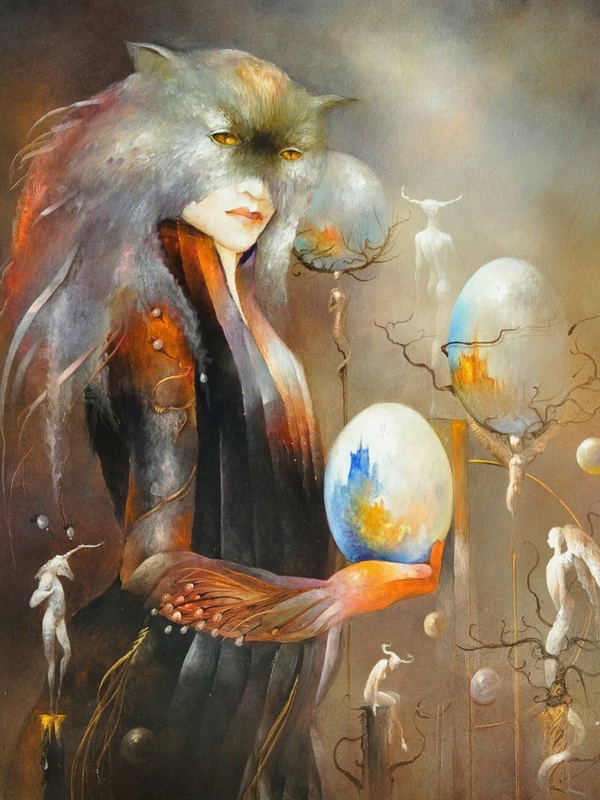 "For more than twenty-five years, contemporary French Surrealist artist Anne Bachelier has captured dreams on canvas. 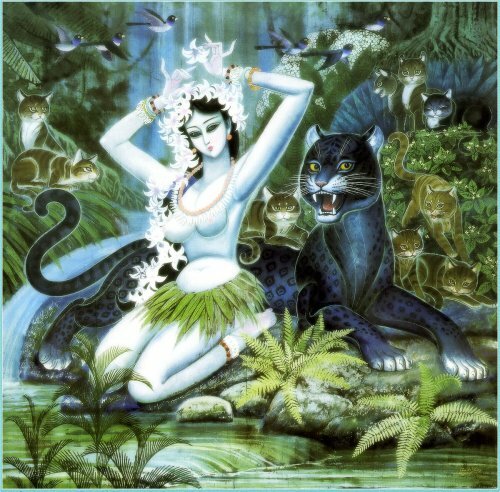 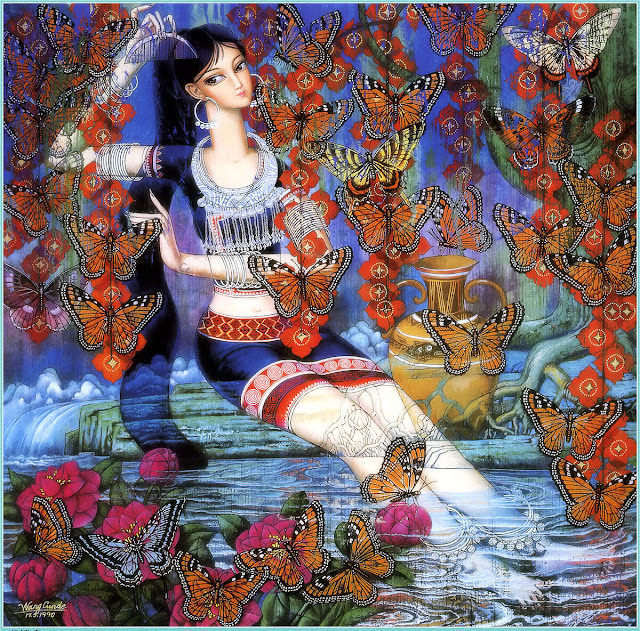 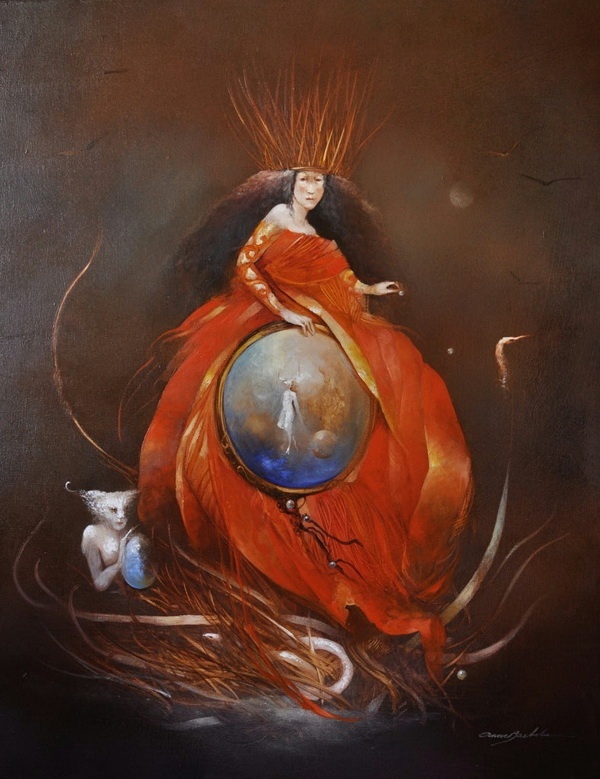 She has been dubbed ‘art’s enchanting Scheherazade’ (Gallery & Studio), a reputation established through international exhibitions of an ever-growing gallery of sorceresses, chimeras and other mythical creatures. 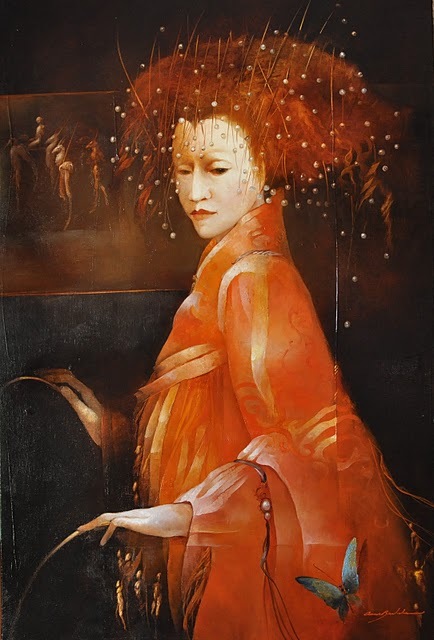 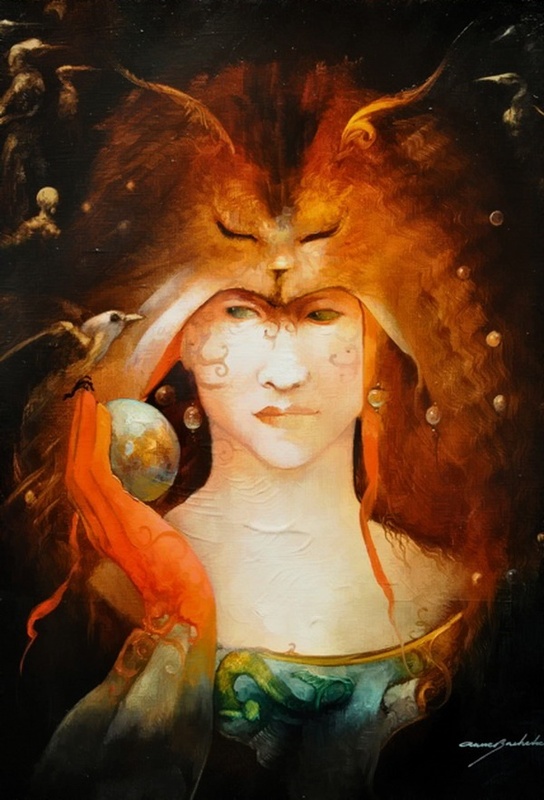 Born on February 20, 1949 in Louvigne du Desert, France, Bachelier studied art formally from 1966 to 1969 at the École des Beaux-Arts, La Seyne-sur-Mer, before serving an apprenticeship at an engraving shop in Valence from 1974 to 1975. 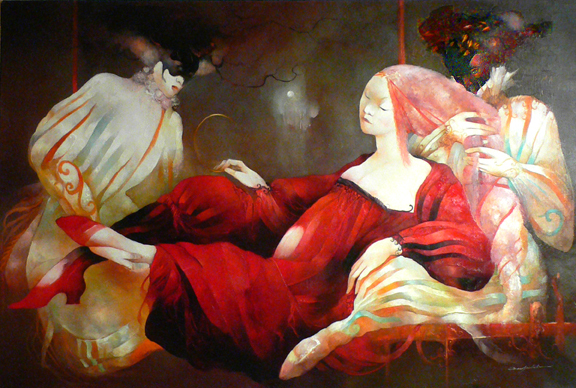 Since 1989, she has been exhibited frequently throughout France and on both coasts of the United States. 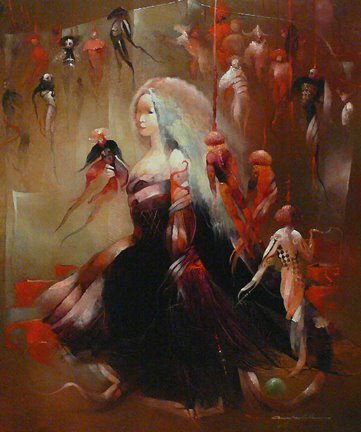 Painter, printmaker, ballet designer and illustrator, Bachelier is also a wife, mother of three and has three grandchildren. 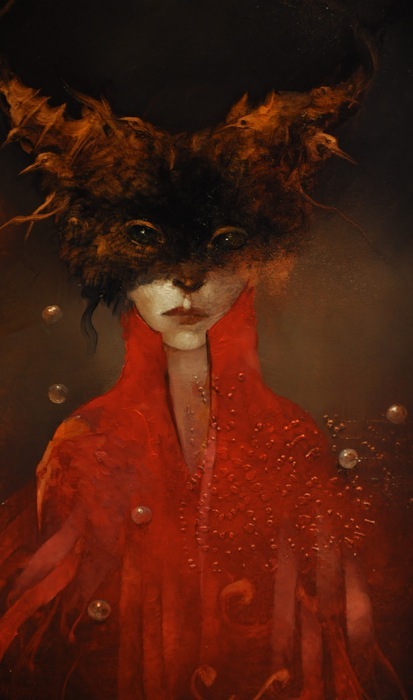 She lives and works near Grenoble, France. 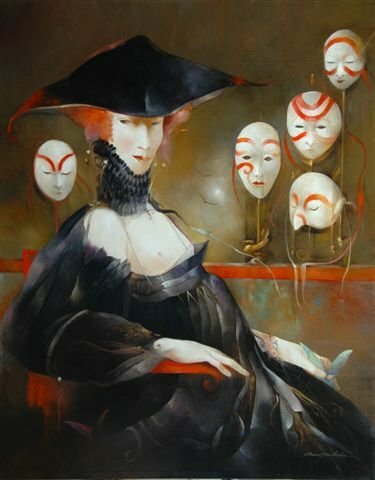 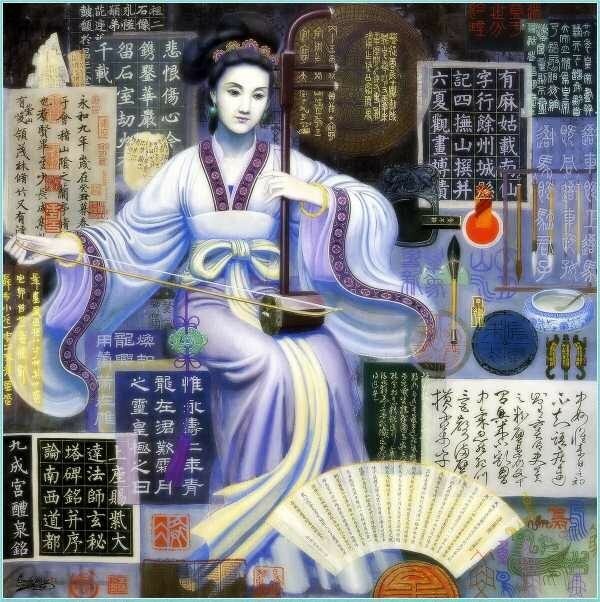 Her personages present archetypes engaging in matters of great import and on a grand scale. 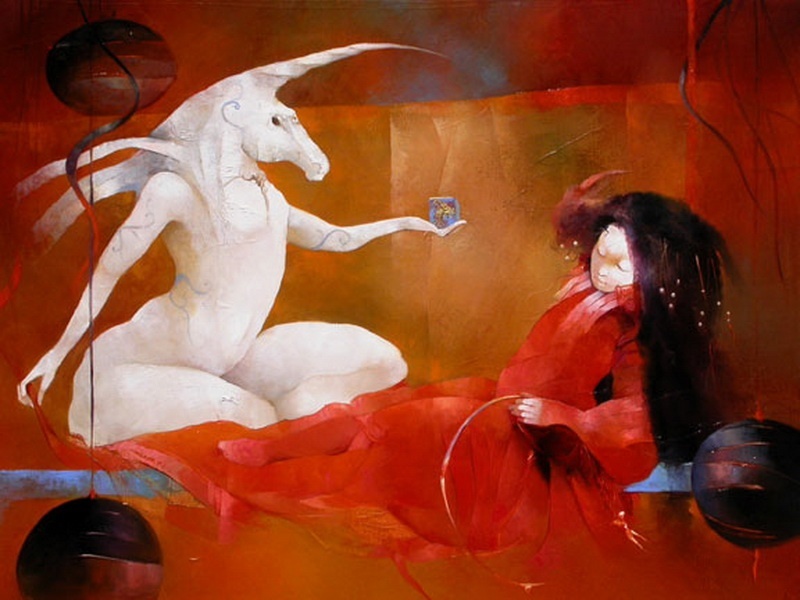 The spectator witnesses the unfolding of a drama that evokes a dream-like mystery; an intangible, ethereal otherworldliness that is simultaneously powerful, peaceful, and protective. 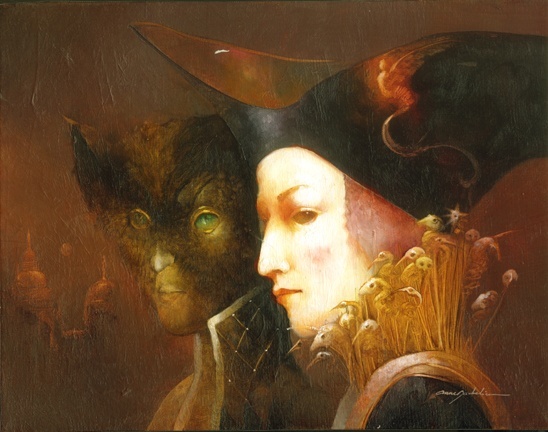 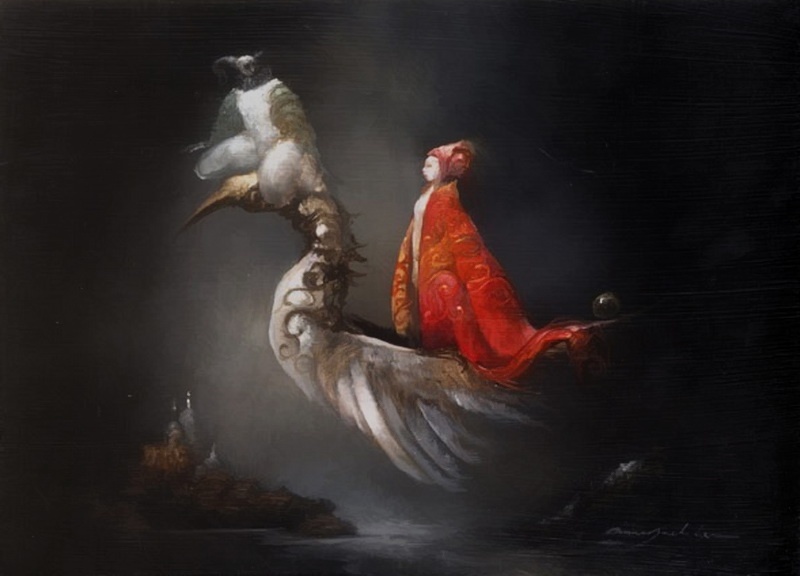 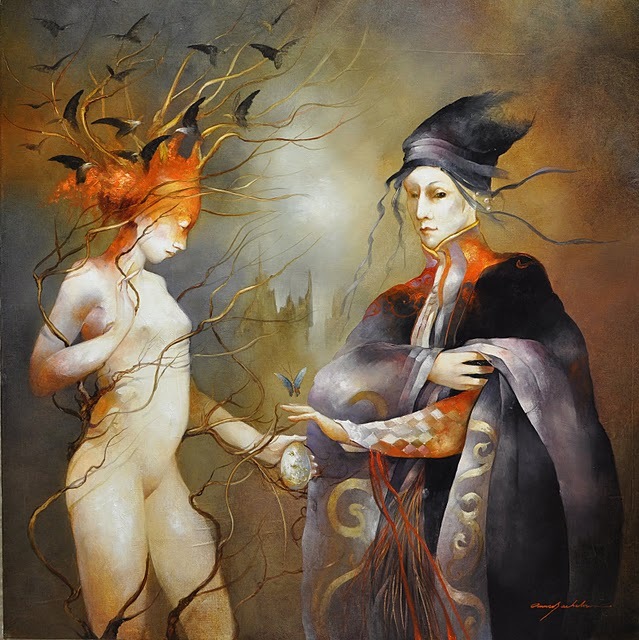 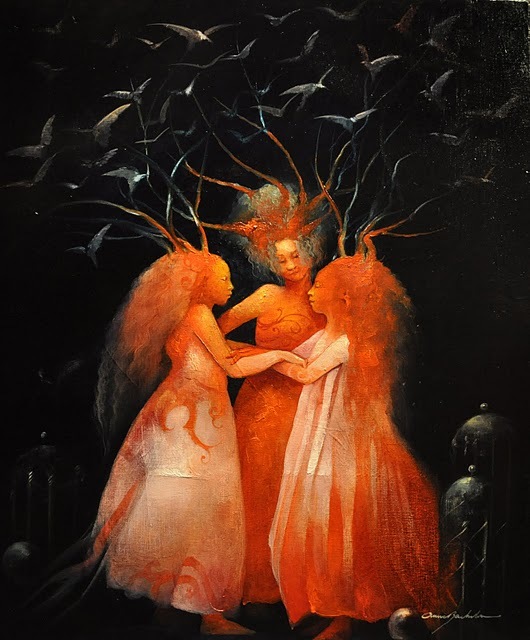 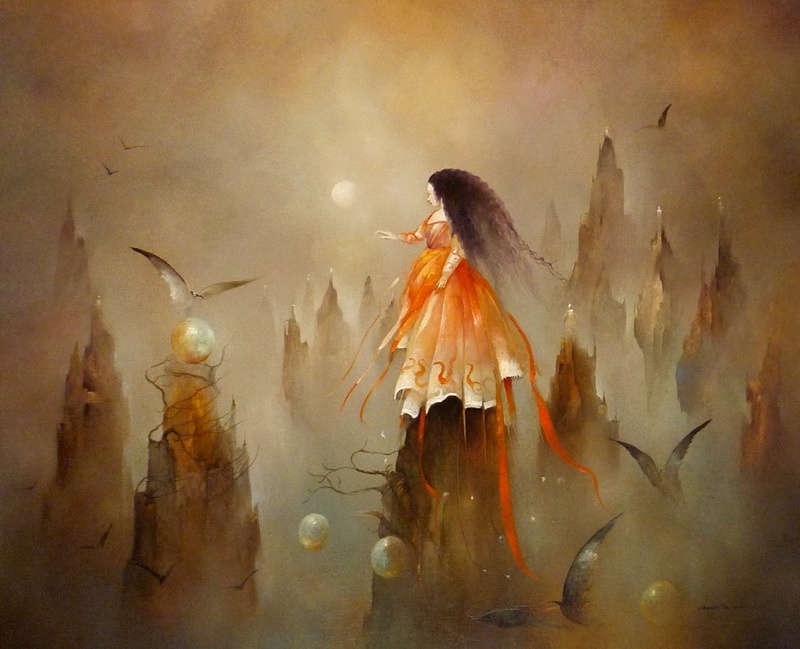 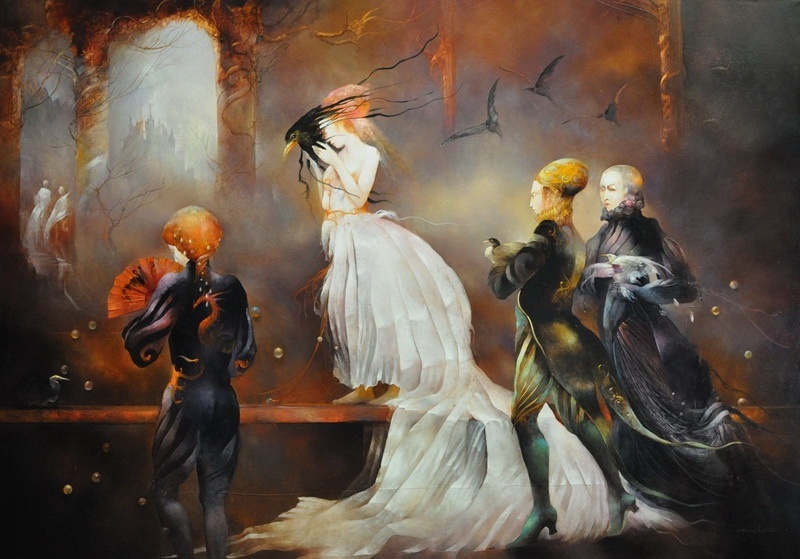 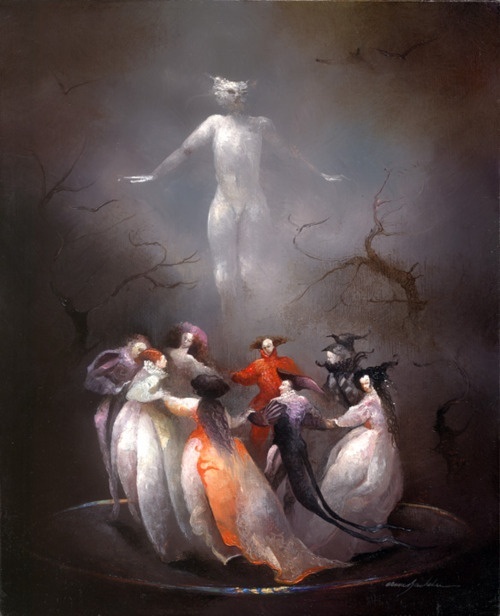 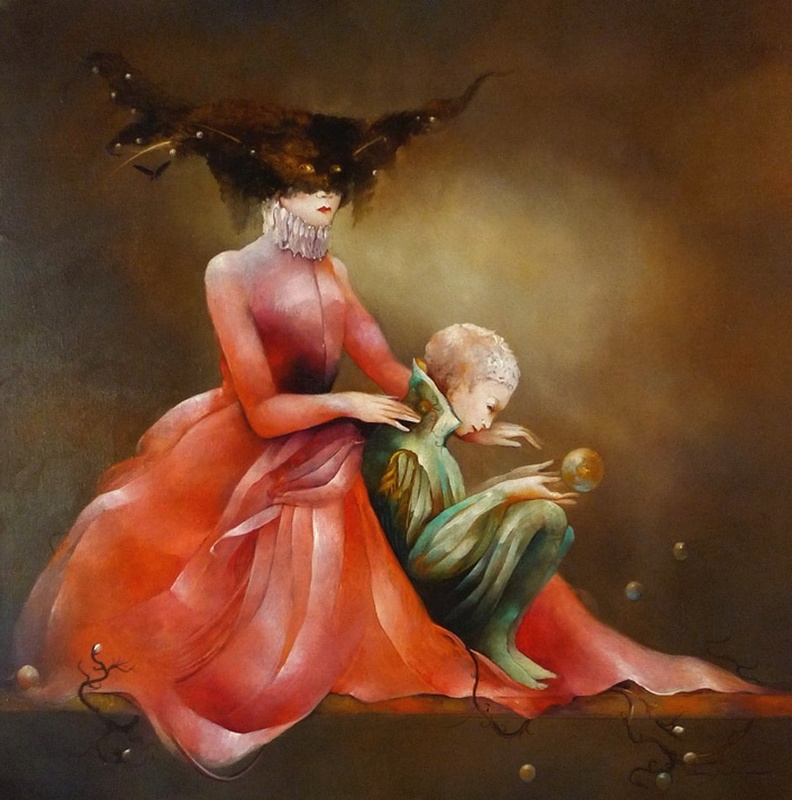 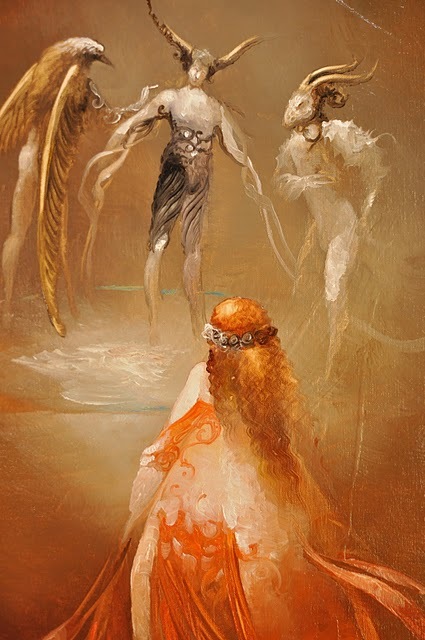 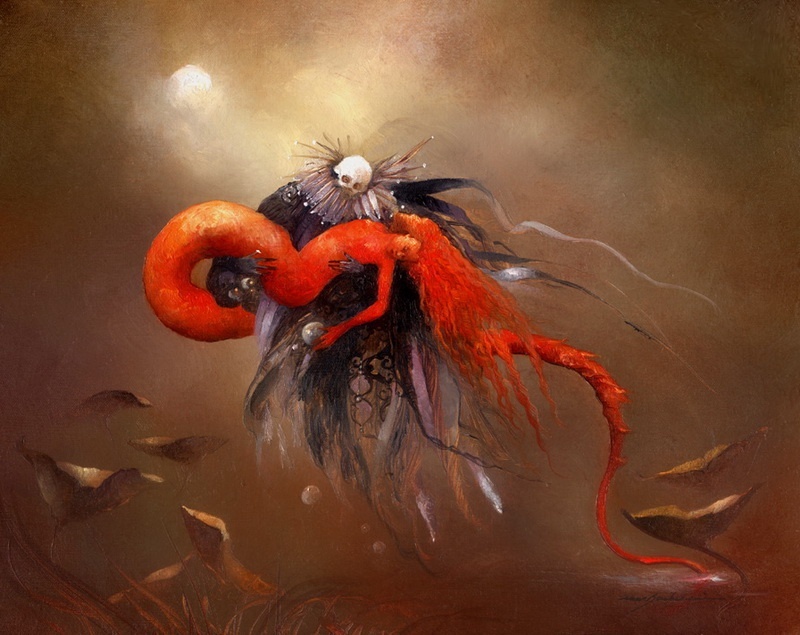 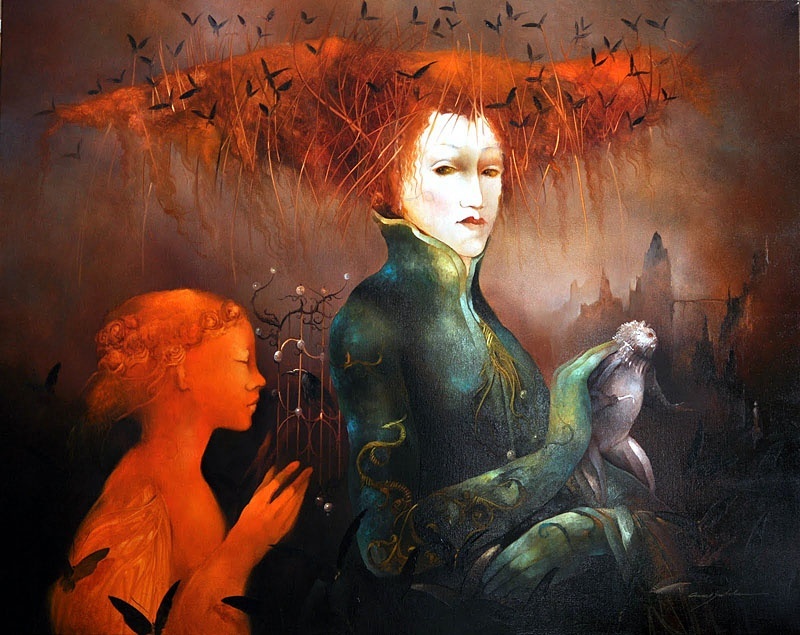 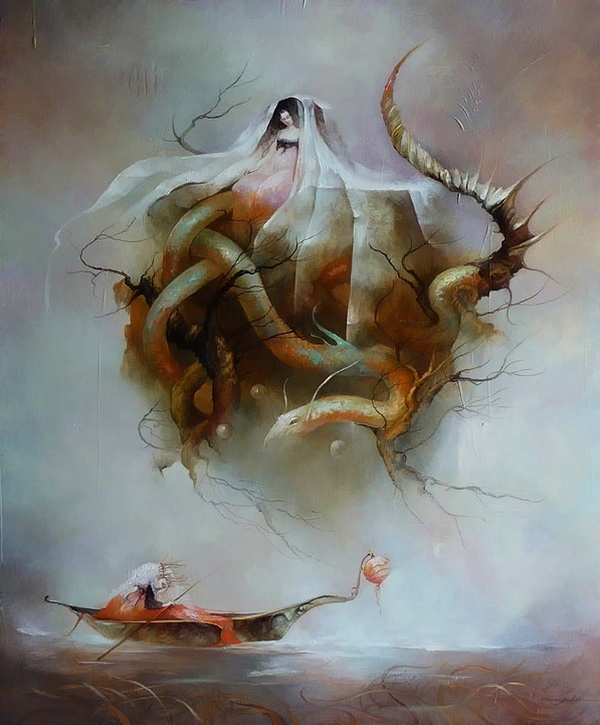 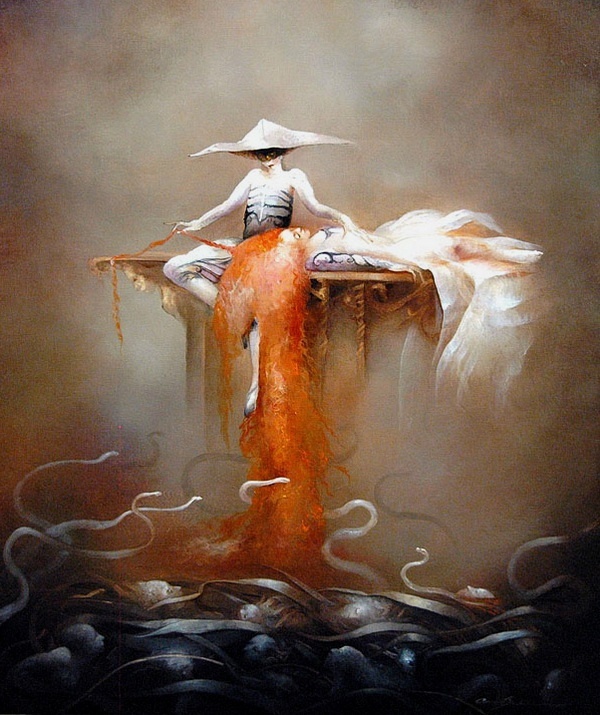 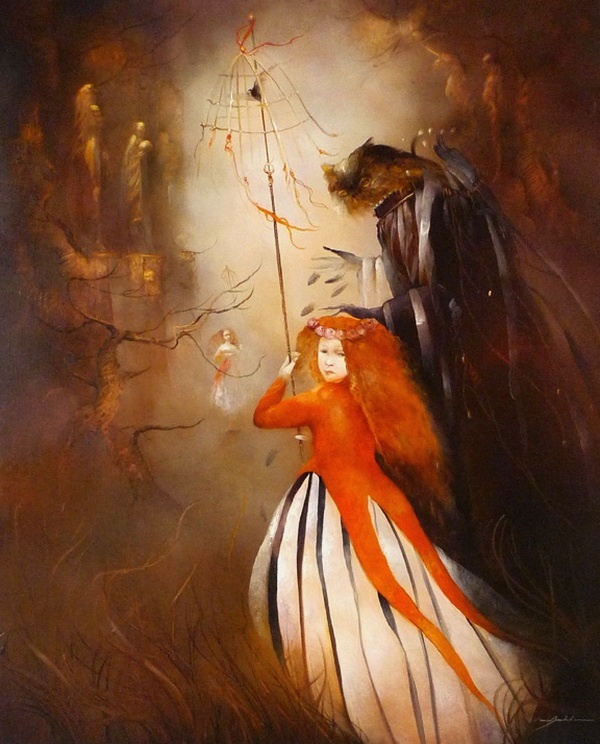 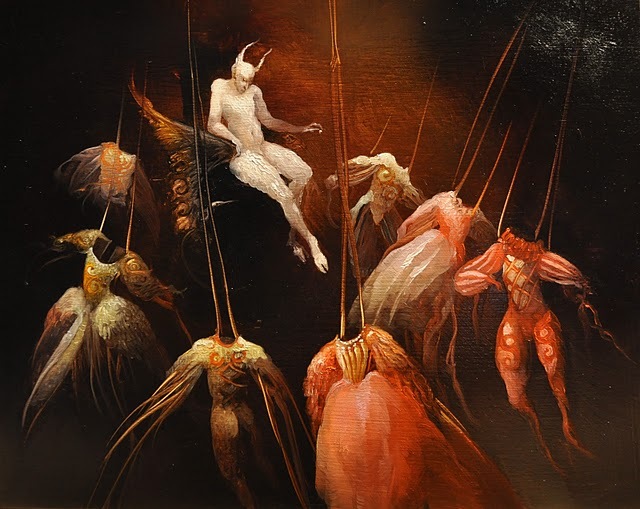 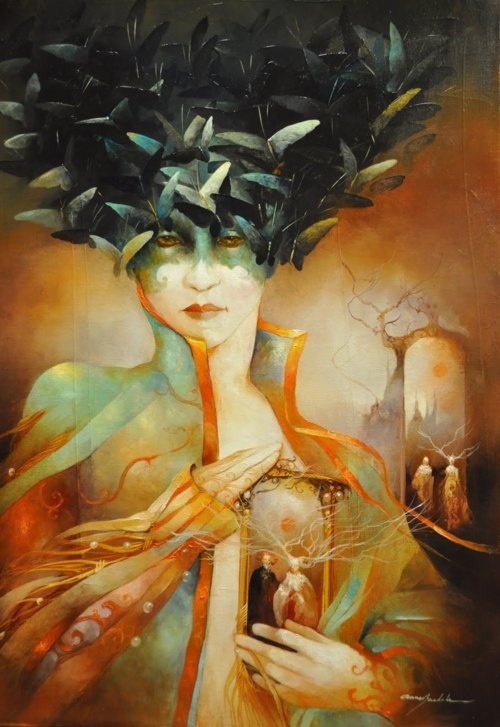 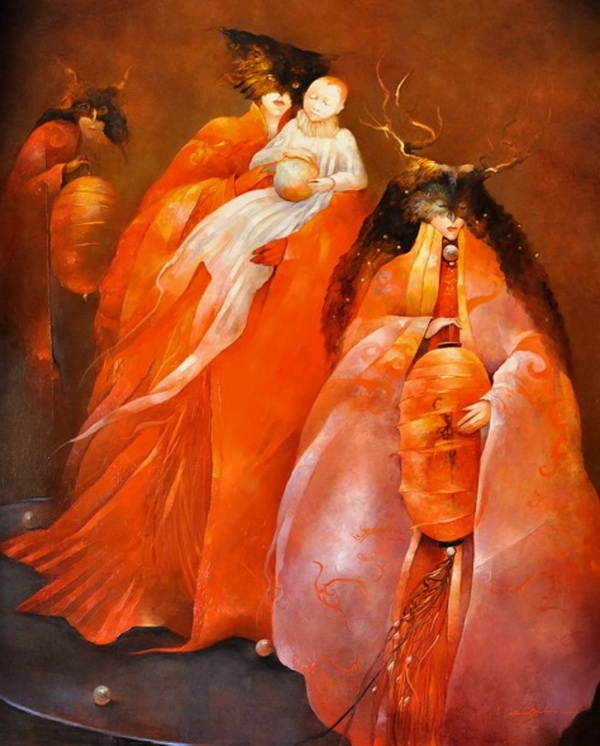 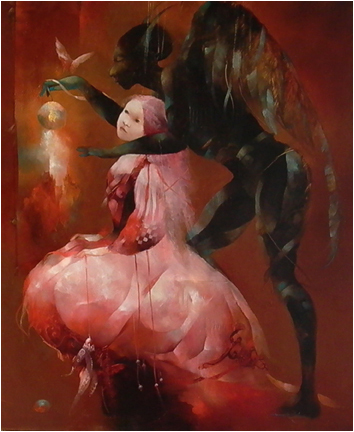 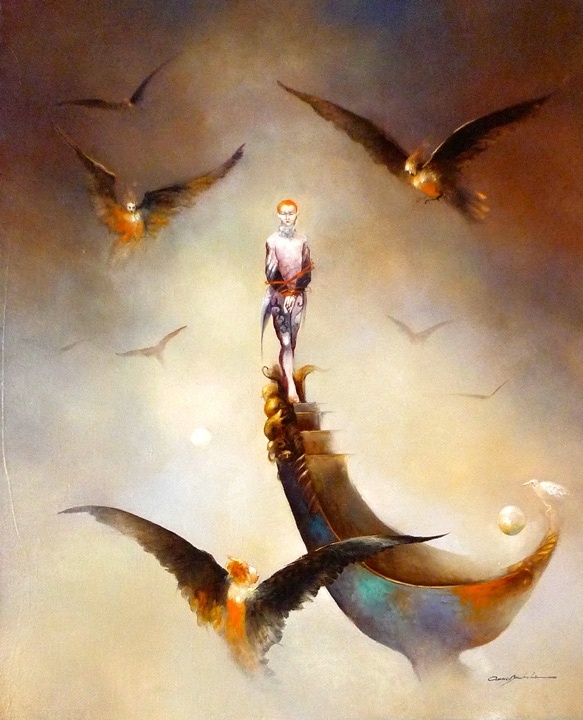 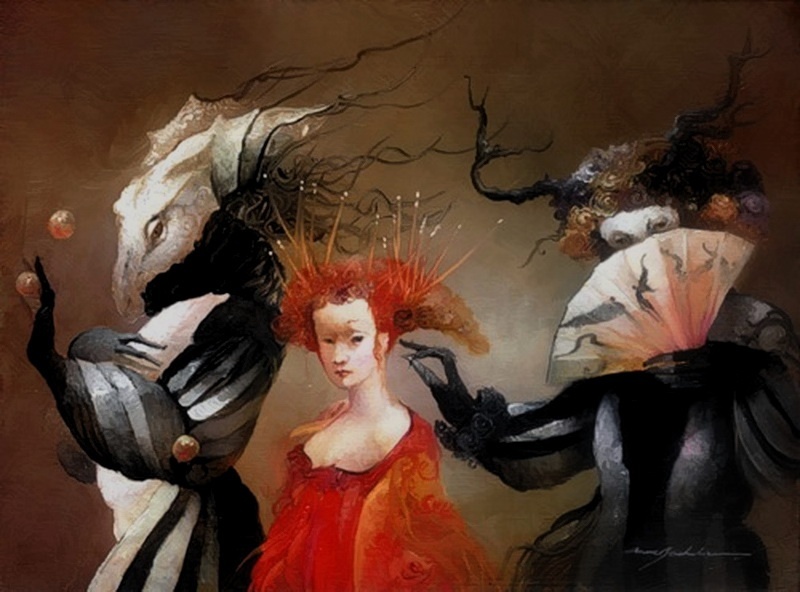 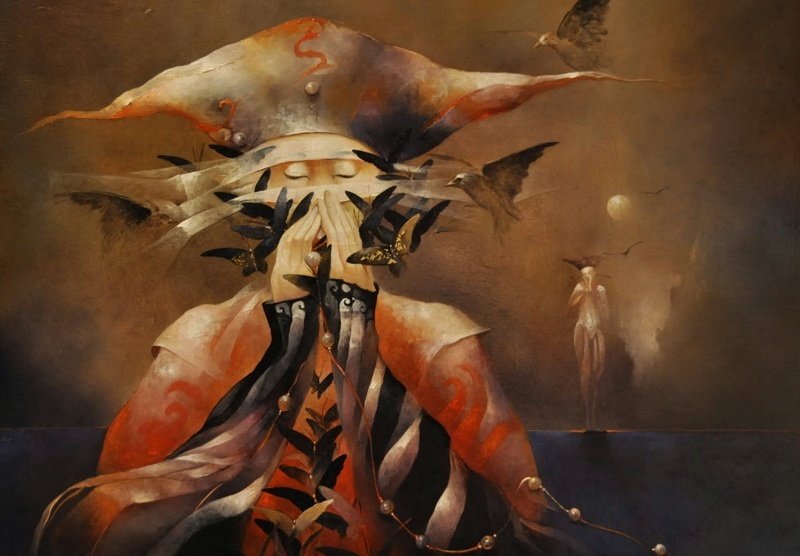 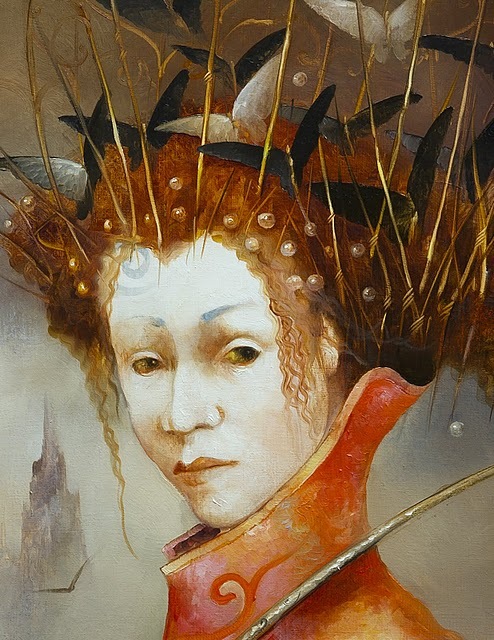 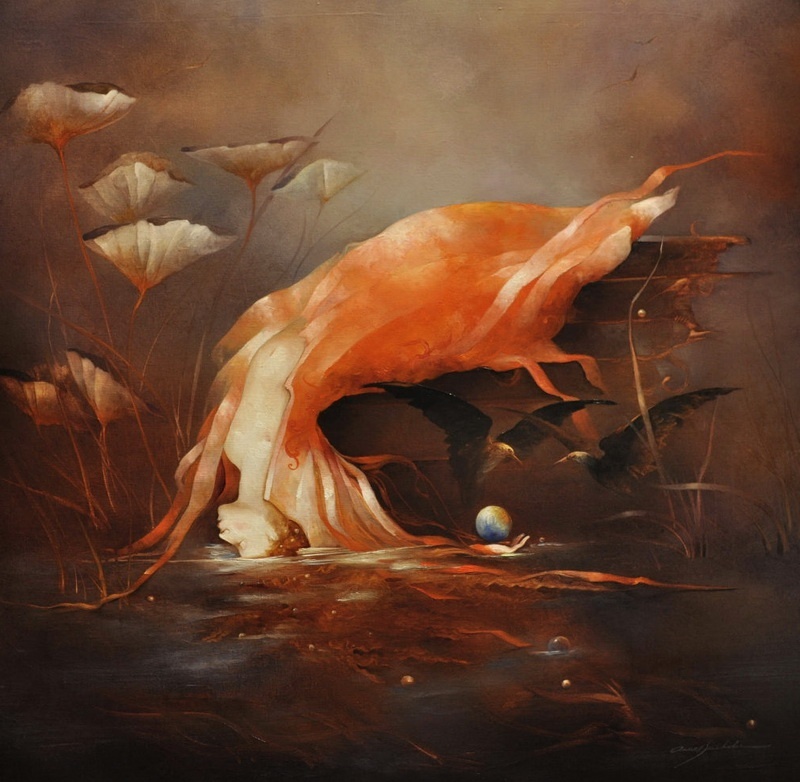 The visions of Anne Bachelier capture the macabre with grandeur, power, and riveting beauty."